Basic battery isolation switch intended for isolating a single battery. 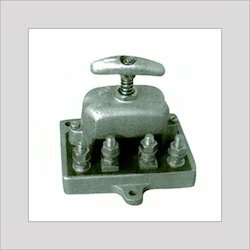 Can also be used for controlling vehicles like tractors, trucks. We are prominent supplier of Single Pole Battery Isolator Switches from Taiwan to our OEM customers in Indian Automotive industry. This switch is available in 12V and 24 Volts and has 1000 Amps current carrying capacity for 3 seconds. Battery Cut-off Switches. 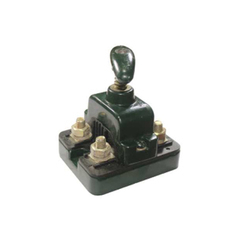 Our clients can avail a wide range of high quality battery isolation switches from us, his range is highly praised in the market for its reliability, durability and high efficiency.